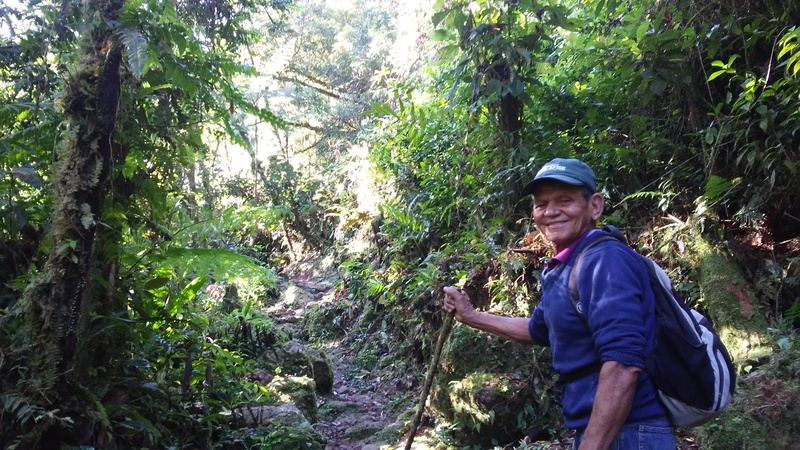 Tours with guides provided by Costa Rican families – only $15 per person including lunch! Las Vueltas Waterfall & Trapiche Tour A local guide will take you on an informative walking tour to the remote Las Vueltas waterfall. It is a one hour hike from the farm. 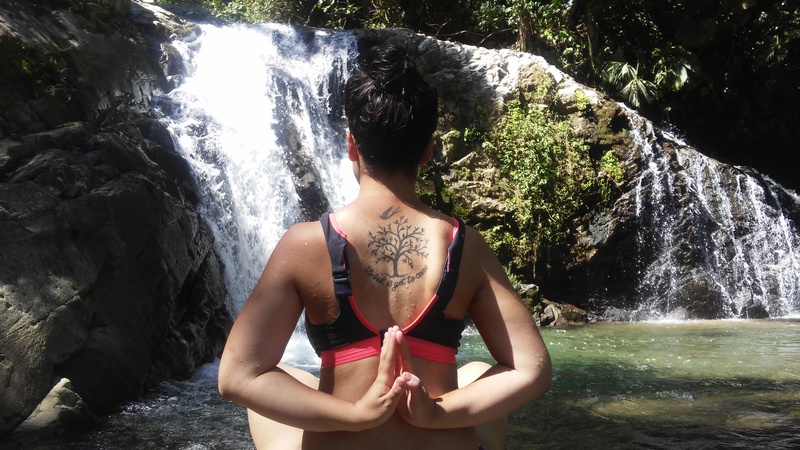 Enjoy a traditional Costa Rican lunch while at the falls. On your return, visit the 100 year old Las Vueltas “trapiche” (sugar mill) that turns sugar cane into ‘tapa de dulce‘ (round blocks of golden sugar). You will be given a block of tapa de dulce to use while on the farm or to take home as a souvenir. The entire tour is approximately 4 hours. Visit our Costa Rican neighbors, Maria and Lello, and tour their hillside farm covered with coffee, fruit and vegetables. They also grow cacao, and the seeds of the cacao are processed into cocoa powder. Maria will show you the steps involved in taking the process from pod to delicious dark chocolate. You will assist her in this traditional method of processing cacao. A light lunch is included, including instruction on how to make authentic Costa Rican corn tortillas. You will take home a sample of Maria’s 100% organic chocolate. The entire tour is approximately 4 hours. 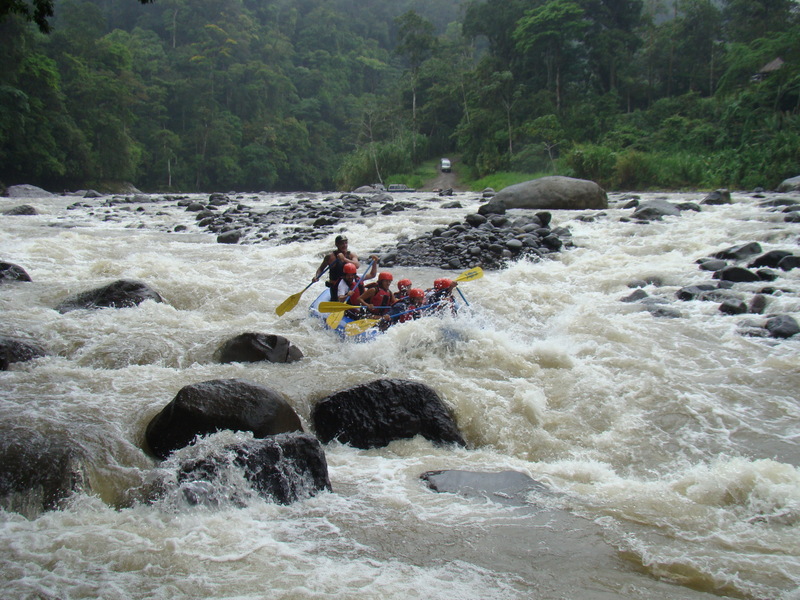 There are a number of local rafting companies that will take you on raft trips down Rio Pejibaye or Rio Pacquare. Select your level of adventure– from category II to category IV rapids–and select a one day or two day trip. We will put you in touch with the rafting companies once here. La Marta Wildlife Refuge – Only 8km from the farm, La Marta features great trails for hiking, and observation towers that look over vast hectares of wilderness. Visit their website at www.lamarta.org. A private guided tour of Lamarta (motorcycle transport, refuge admission fee, personal guide, light lunch) is available for $25 (1 person only, as you are taken on a motorcycle). The length of the tour can range from 4 to 6 hours, dependent on how much hiking you would like to do. Volcan Irazu National Park – The visit to Irazu is a nice day trip. A bus from Cartago will take you right to the top of this 3400 meter volcano. Here is the park’s online brochure.